Clydebank secured their place in the third round of the Scottish Junior Cup with a 4-0 win over Armadale Thistle on Saturday. 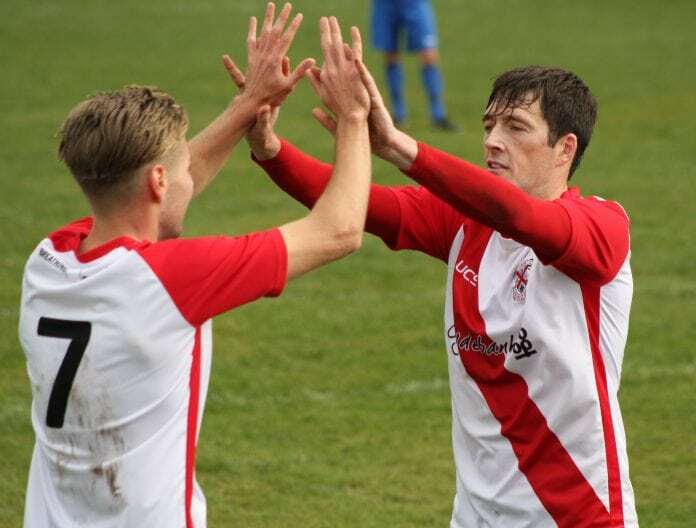 Second half goals from Jamie Darroch, Nicky Little, Ross Alexander and Jack McClair saw Bankies secure their spot in the next round for the first time in three years. Clydebank boss Kieran McAnespie made three changes to the side that lost to Cumnock, with Andy Paterson, Alan Vezza and Steven Higgins replacing Jack McClair, Ross Alexander and Sean Higgins in the starting eleven. Bankies had the vast majority of possession during the opening half but failed to make the breakthrough, and McAnespie’s men were forced to be patient in what was a largely frustrating forty five minutes for the home support. Bankies first real chance of the game came after 12 minutes when Cammy McClair’s through ball was picked up by Steven Higgins, who outmuscled his man but dragged his shot wide of the post. Then on the stroke of half time, captain Alan Vezza forced a flying save from Armadale stopper Rooney, who tipped his effort over the crossbar. Having drawn a blank at the break, McAnepsie switched to a 3-4-3 formation that saw Jamie Darroch, Alan Vezza and Michael McIndoe deployed in a three man defence, while Steven Higgins and Hepburn spearheaded the attack. The change in formation brought a reaction from the visitors, with McLachlan and Kane both testing Waters in the opening exchanges of the second period. But Bankies patience was rewarded after 70 minutes when they finally took the lead. McIndoe’s free kick was initially cleared by the Armadale defence, before landing at the feet of Jamie Darroch who volleyed in his second goal of the season. Darroch’s opener was soon followed by a second, with Higgins finding McClair bursting down the right channel. McClair drove to the goal line and crossed for Nicky Little, who was lurking at the back post to stab home his 10th goal of the season. The floodgates soon opened and less than five minutes later, Bankies grabbed a third. A long ball over the top was nodded on to Ross Alexander, and the academy graduate’s first time effort flew across the goalkeeper to all but seal Bankies’ entry to the third round. Substitute Jack McClair then made an instant impact from the bench, striking from the edge of the area to grab his first goal for the club and Clydebank’s fourth of the afternoon. 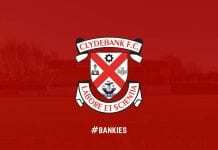 Next Saturday Bankies welcome Petershill to Lochburn Park as they return to league duty, kick off is 2pm.